My book, Deliver Us From Evil is ready and available on Amazon. It went live on the Winter Solstice–how special is that? Kidnapped during an assignment in Afghanistan, Irish photographer Niall O’Sullivan and American journalist Philip Korda are hostages in a remote underground bunker outside war-torn Kandahar. Will they be ransomed before their captors run out of patience? Starved and beaten, they despair of ever seeing their loved ones again. Tags: Afghanistan, Divine Presents Series, Families, Father and son, Imprisonment, Ireland, Little boys, Portland Oregon, PTSD | Permalink. 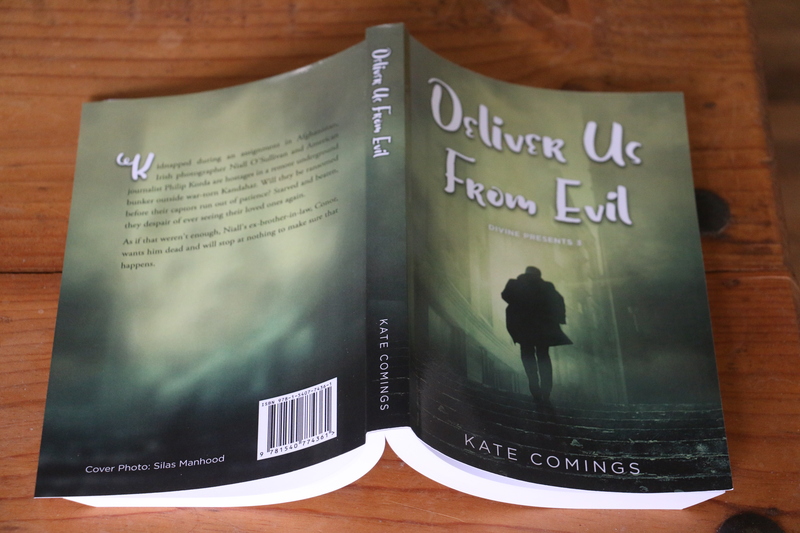 DELIVER US FROM EVIL Cover! I bought a license to use the Silas Manhood cover image I mentioned in my last post and hired the CreateSpace custom cover service to do the actual cover. When I got the email notifying me that the cover proof was ready, I was afraid to open it. What if I didn’t like it? I have invested so much of myself in my characters and their story that a disappointing cover would be so much more than, well, a disappointing cover. I needn’t have worried. I’m so excited. Thrilled. Happy. It has continuity with the two previous covers, but is also a bit more ominous, as this novel is darker than the others. 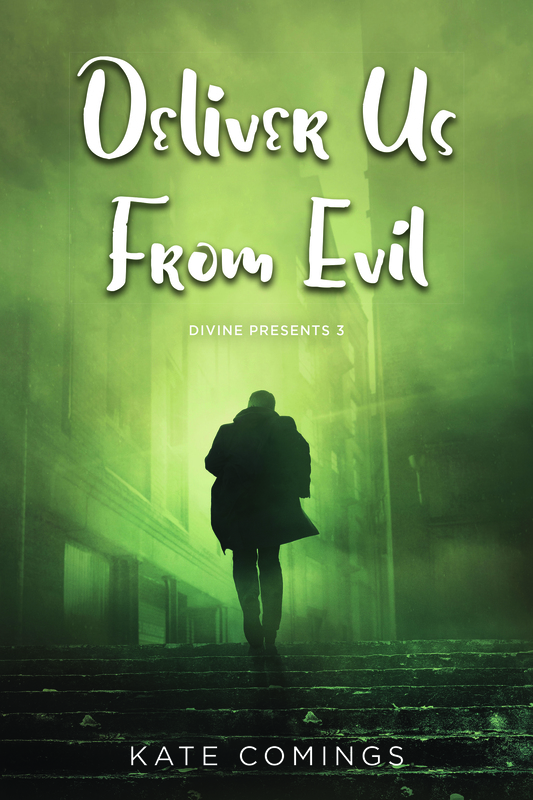 Book Three in the Divine Presents series, Deliver Us From Evil continues the story begun in A Shack on the Outskirts of Heaven and Stolen Son. I’m waiting to receive a proof copy of the paperback book, and after I approve that, it will be available on Amazon. There will also be a Kindle version. Tags: Book covers, Books, Divine Presents Series, Publishing process, Writing process | Permalink. 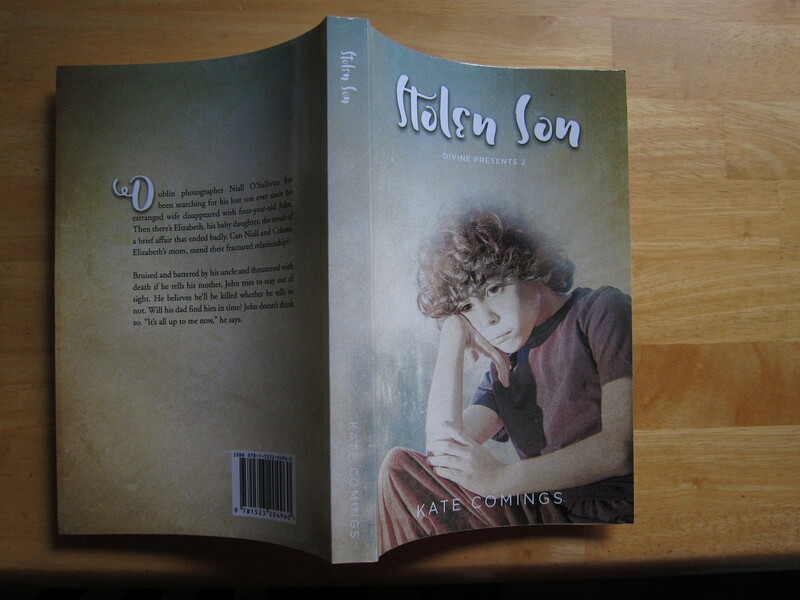 Just finished the final paperwork, and Stolen Son, the sequel to A Shack On the Outskirts of Heaven, will be available on Amazon February 8. I’m so excited! Dublin photographer Niall O’Sullivan has been searching for his lost son ever since his estranged wife disappeared with four-year-old John. Then there’s Elizabeth, his baby daughter, the result of a brief affair that ended badly. Can Niall and Celeste, Elizabeth’s mom, mend their fractured relationship? Bruised and battered by his uncle and threatened with death if he tells his mother, John tries to stay out of sight. He believes he’ll be killed whether he tells or not. Will his dad find him in time? John doesn’t think so. “It’s all up to me now,” he says. Now for the next book in the series, Deliver Us From Evil. Tags: Abuse, Divine Presents Series, New Book, Parental Abduction, Romance | Permalink.